Clarence "Big Man" Clemons passed away on Saturday, June 18th after suffering from a major stroke a week earlier. 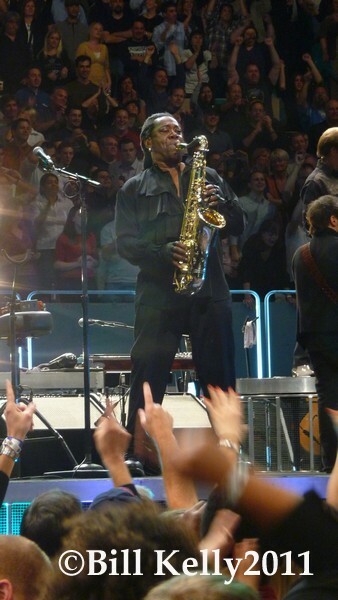 As anyone who's ever attended a Bruce Springsteen and the East Street Band concert knows, Clarence Clemons was more than a sideman - he was the soul, the anchor of the band. 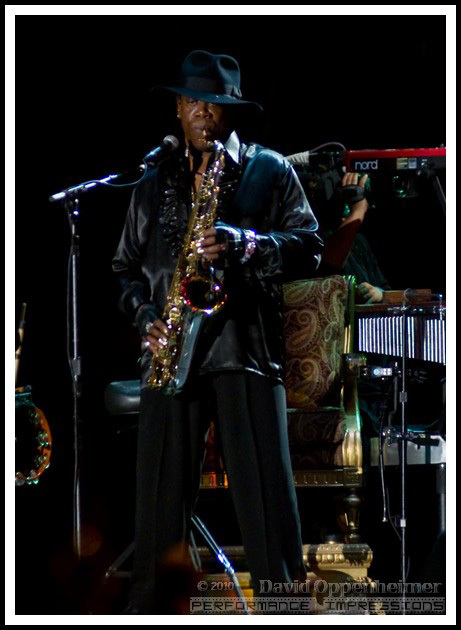 He brought roots rock authenticity to the mostly white, blue collar ensemble. 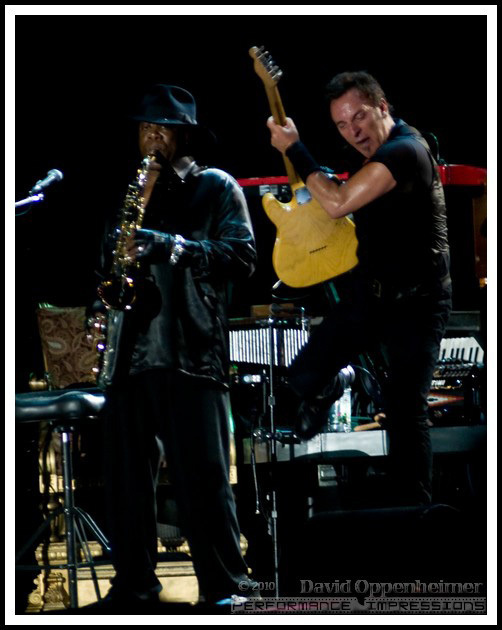 Perhaps nothing can be written that better describes the relationship between Clarence Clemons and Springsteen than the iconic cover for 1975"s "Born To Run", the album that brought Springsteen to the masses. 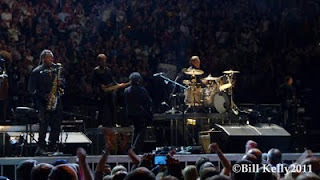 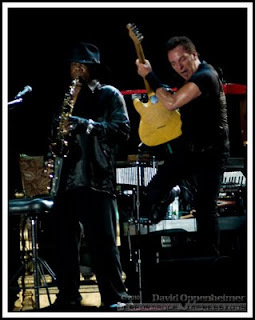 A ruffled, grinning Springsteen is seen leaning on a large shoulder, revealed on the back cover to be the behatted, tenor sax blowing Clarence Clemons. 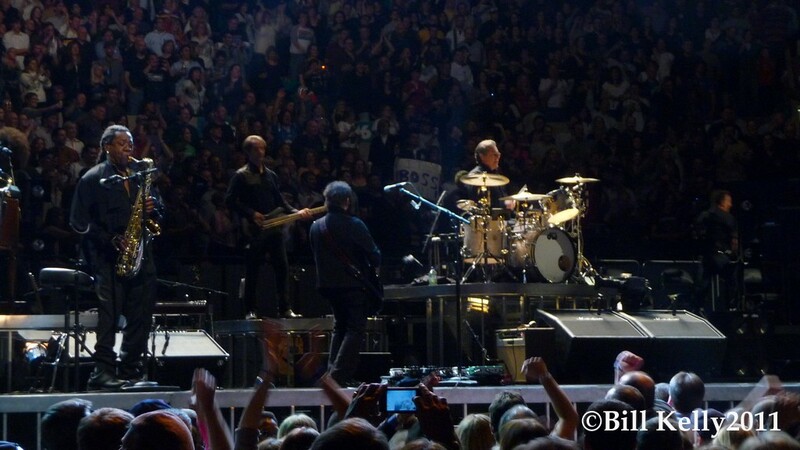 As Springsteen has said, Clemons was a presence, a brother and a muse. 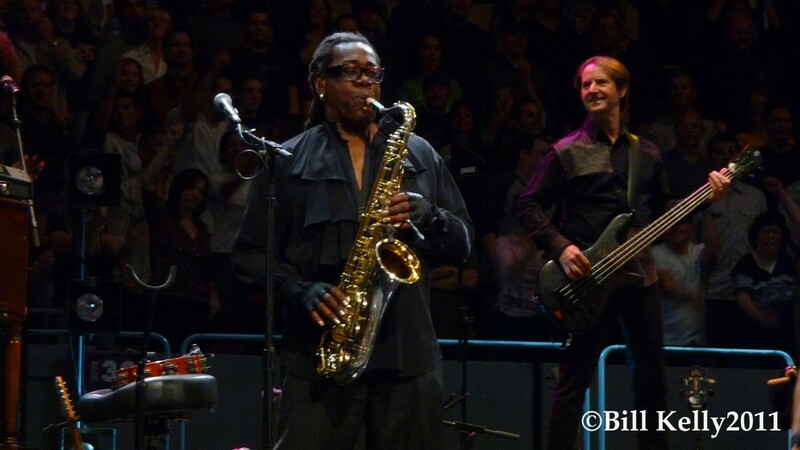 The Big Band in the sky just got much better. 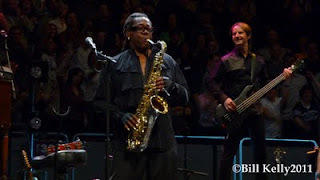 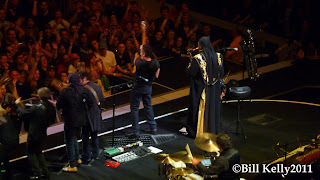 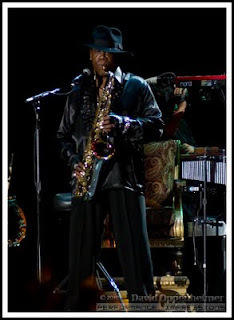 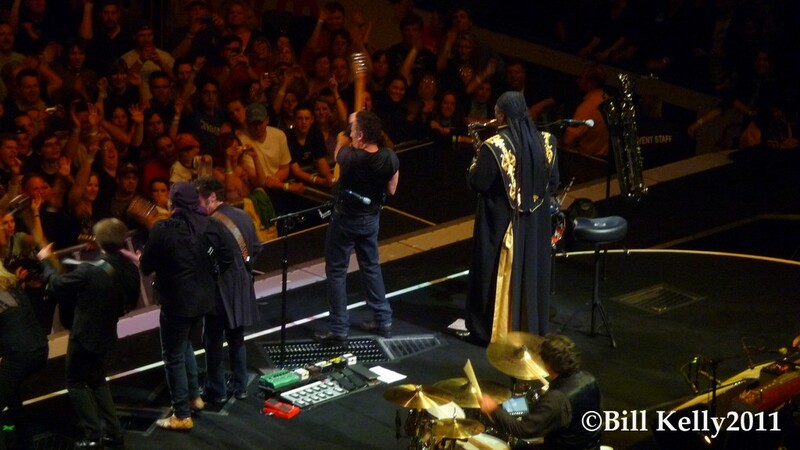 Those of us fortunate enough to have seen Clarence Clemons perform over the years have wonderful memories of The Big Man on stage - The big hats, flowing robes or colorful suites. 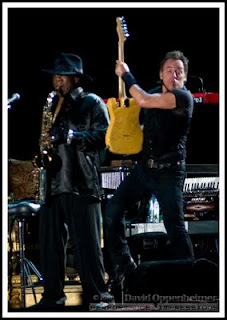 But, more than anything, it was the sound of that sax, wailing during the rockers, bringing Rosie out tonight, taking Jungleland to a soulful, perfect end.